The handover of the symbolic key for the 700 homes the Order of Malta has built in Basey, Bantayan and Cebu, devastated by typhoon Yolanda, was the most significant moment of the meeting between the President of the Republic of the Philippines, Benigno Aquino, and the Grand Master of the Sovereign Order of Malta, Fra’ Matthew Festing, in Malacañan Palace on 3 March. Typhoon Yolanda, also called Haiyan, was one of the strongest tropical cyclones ever recorded. Striking the Philippines in early November 2013, it wrought death and destruction. 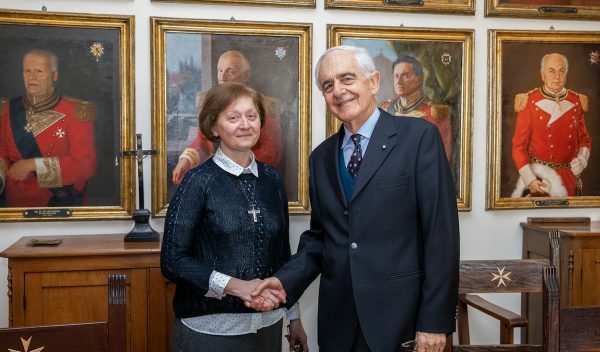 The Order of Malta’s Philippine Association intervened immediately with Malteser International to bring aid to the survivors. Reconstruction projects are still underway. 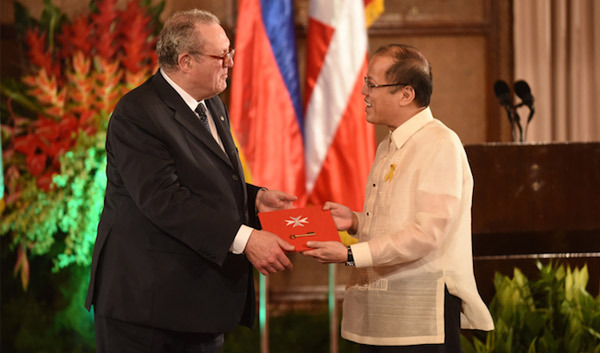 “The relationship between the Philippines and the Order of Malta is not that of donor and beneficiary but of partners sharing common objectives for the benefits of those who suffer and are in need,” the Grand Master told President Aquino during the consignment ceremony. 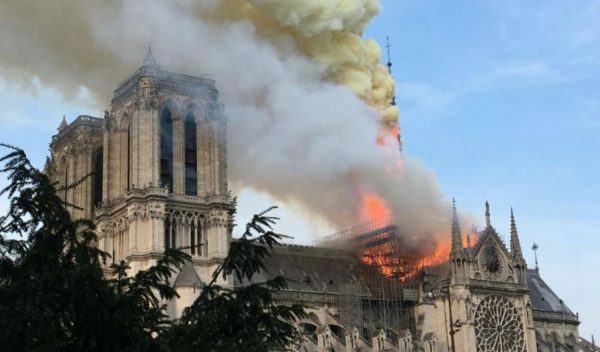 “We stand by our commitment to work with your people, accompanying the delivery of goods and the construction of infrastructures with solidarity and brotherhood, embodied in our shared values. 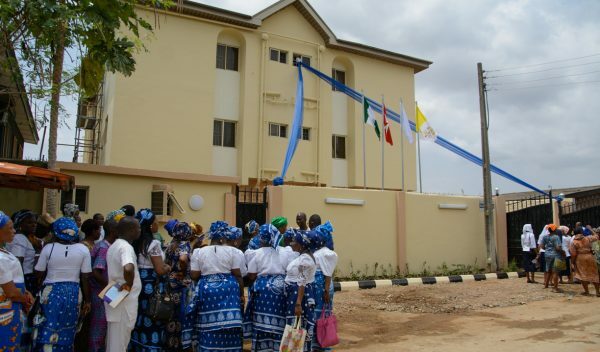 Mr President, it is in this spirit that I am handing over to you today the symbolic key for the 700 homes we have built, with our best wishes for the people who will live there in peace, harmony and security”. 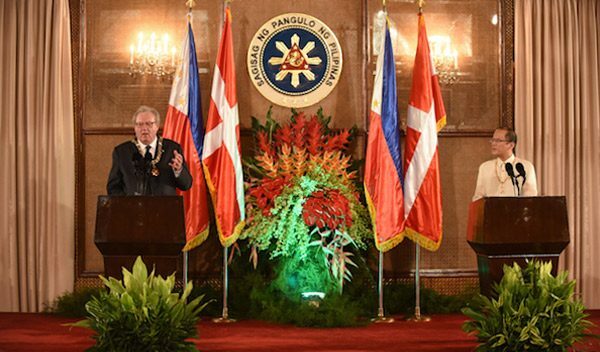 In the joint press conference, President Aquino said that “the Order of Malta’s work complements our own government’s plan of building back better to break the vicious circle of destruction and reconstruction”. Fra’ Matthew Festing’s visit is “an historic event, because it coincides with the 50th anniversary of the establishment of diplomatic relations between the Philippines and the Sovereign Order of Malta”. 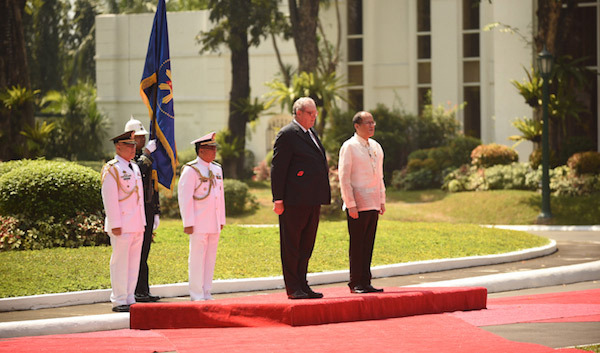 President Aquino conferred on Fra’ Matthew Festing the Order of Sikatuna with the rank of Raja, or Grand Collar, “the highest order of diplomatic merit our people can bestow upon the leader of a sovereign state,” hoping that “it may stand as a symbol of our gratitude for the Order of Malta’s friendship and assistance throughout the last half century”. 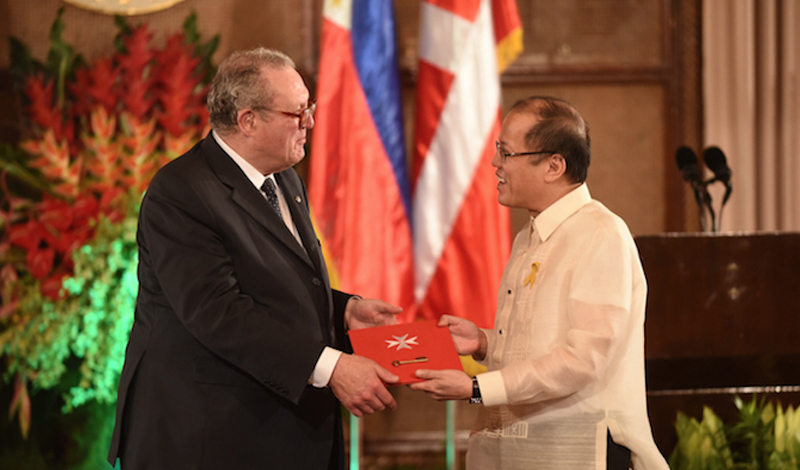 In turn, President Aquino received from the Grand Master the Order of Merit pro Merito Melitensi to mark the “excellent bonds of friendship” between the country and the Sovereign Military Order of Malta after diplomatic relations were initiated in 1965. With the aim of strengthening cooperation, there were numerous bilateral meetings between the delegation accompanying the Grand Master and the Asian country’s authorities. 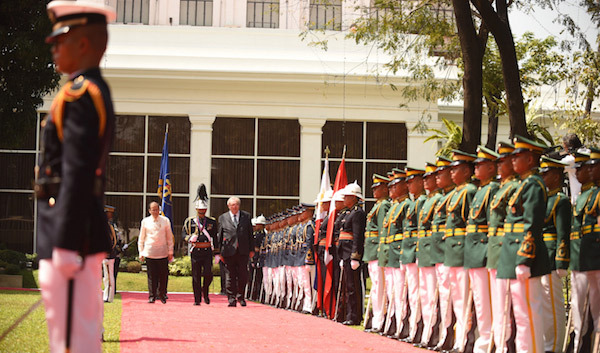 The Grand Chancellor Albrecht Boeselager and Grand Hospitaller Dominique de La Rochefoucauld-Montbel met the Vice President of the Republic Jejomar Cabauatan Binay, the Minister of Defence responsible for Civil Protection, Voltaire Tuvera Gazmin and the Minister of Health Janet L. Garin. 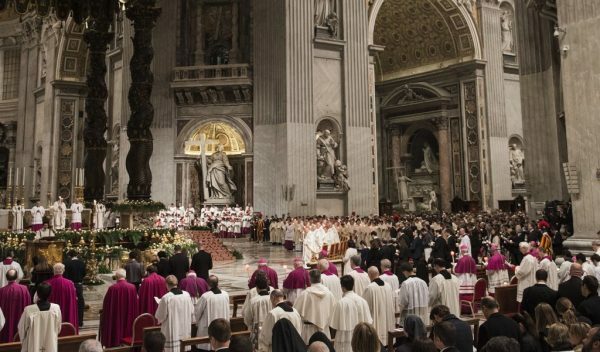 Both parties are discussing the possibility of a cooperation agreement. 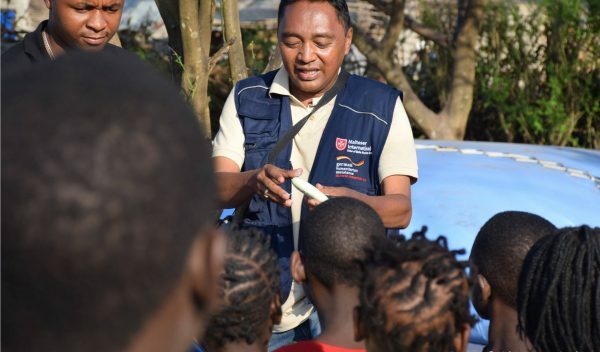 On Thursday the Grand Master will travel to Tacloban and Samar to visit some of the places most affected by the 2013 typhoon and inspect the Philippine Association and Malteser International’s joint projects for assisting the local communities.